Successfully saved Savoury French Toast with Mushrooms to your Calendar. You can also save the ingredients to your Grocery List. 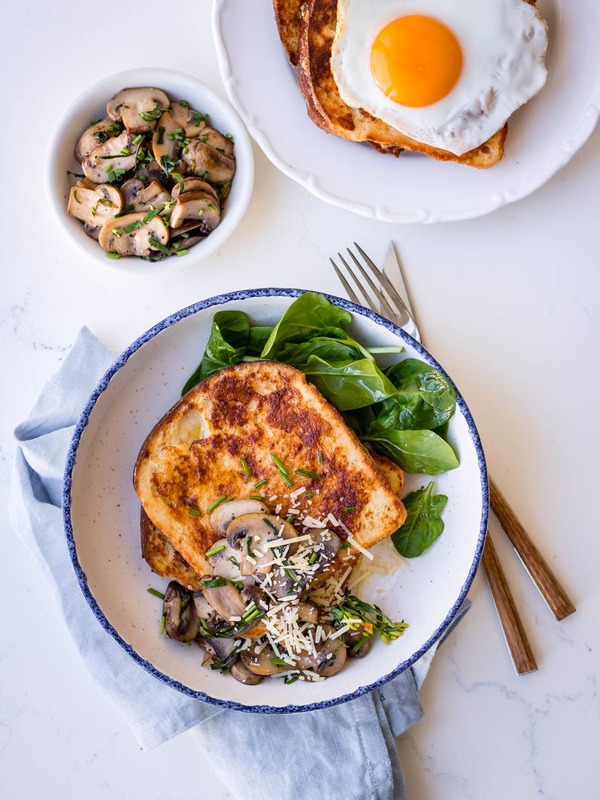 Savoury French toast with mushrooms puts a fancy spin on eggs and toast but is an absolute breeze to make. Choose a wholegrain bread (can be gluten free), add a sprinkle of parmesan, and load it up with herby mushrooms. It’s a healthier breakfast delight!